Gregory Levey’s modest goal is to solve the Middle East conflict—all by himself. After returning to North America following a stint in his midtwenties writing speeches for the Israeli government—first at the United Nations and then for the prime minister in Jerusalem—he thinks he is leaving the madness of the Middle East conflict behind. But nothing could be further from the truth. Levey soon discovers that everyone on this side of the Atlantic seems to think that they have the solution to the intractable conflict—and they all feel the need to tell him about it. Fatigued by the endless debate, the constant hostility, and the cacophony of shrill voices, he decides that the only way he is going to escape it all is if he solves the conflict himself, once and for all. So Levey sets out on a hilarious, quixotic, and surprisingly illuminating quest to broker a peace deal where a long line of world leaders have failed. Interacting with White House officials, DC lobbyists, congressmen, advisors to presidential candidates, high-profile journalists, secretive fundraisers, former Israeli spies now living in North America, and hundreds and hundreds of Jewish grandmothers, Levey tries to understand why the Middle East situation refuses to be resolved, and why so many people who live a world away are so obsessed with it. He combs through theories ranging from the eminently reasonable to the completely insane, engages in virtual peacemaking simulations, investigates an “online suicide bombing,” spends time with a former advisor to Yasser Arafat, undergoes training with a half-baked Jewish paramilitary group, goes undercover as an Evangelical Christian, and somehow ends up at a real-life castle owned by an eccentric, cape-wearing crusader for peace. 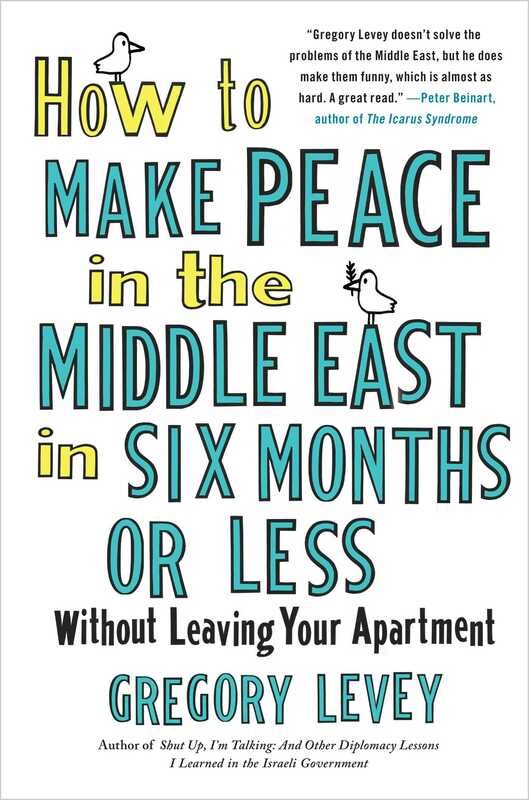 In How to Make Peace in the Middle East in Six Months or Less Without Leaving Your Apartment, Levey brings his trademark brand of street-smart levity to a situation that many see as hopeless— and thereby reveals the very human and sometimes very silly side of a brutal, decades-old geopolitical conflict. Along the way, he meets a cast of characters that would be outright funny if the situation weren’t so dire. The result is a fast-paced, humorous, and insightful romp through U.S. policymaking in the Middle East. 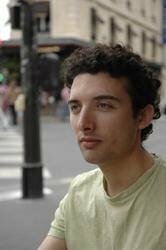 Gregory Levey is the author of Shut Up, I'm Talking: And Other Diplomacy Lessons I Learned in the Israeli Government and has written for Newsweek, The New Republic, New York Post, Salon, and other publications. He served as a speechwriter and delegate for the Israeli government at the United Nations and as Senior Foreign Communications Coordinator for prime ministers Ariel Sharon and Ehud Olmert, and is now on the faculty of Ryerson University in Toronto, Canada.